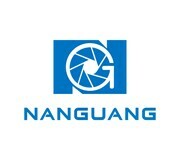 NanGuang CN-576C, adopt 576PCS high configured LED bulbs, Ra:95, bi-color, 3200K-5600K . It’s a portable studio light. Suitable for studio, TV station, micro film, AD and wedding photography. 1.Adopt selected high brightness and flicker free LED bulbs, high CRI 95, standard color temperature 3200K-5600K. 3.Good heat dissipation, passive air cooling, not affect the lighting use and long service life. 5.Multiple power supply available: 100-240V AC, 7.2-12V DC, Sony NP-F, NP-FH, NP-FM battery (One battery can be normal supply power for the light) .